President Erdogan last visited Greece as prime minister in 2010. Greece is bracing for the first visit by a Turkish president in 65 years, with Recep Tayyip Erdogan due in Athens on Thursday and Friday (Dec. 7-8). Erdogan's last visit to Greece was as prime minister, in 2010, but he will be the first Turkish head of state to visit Athens since Celal Bayar in 1952. 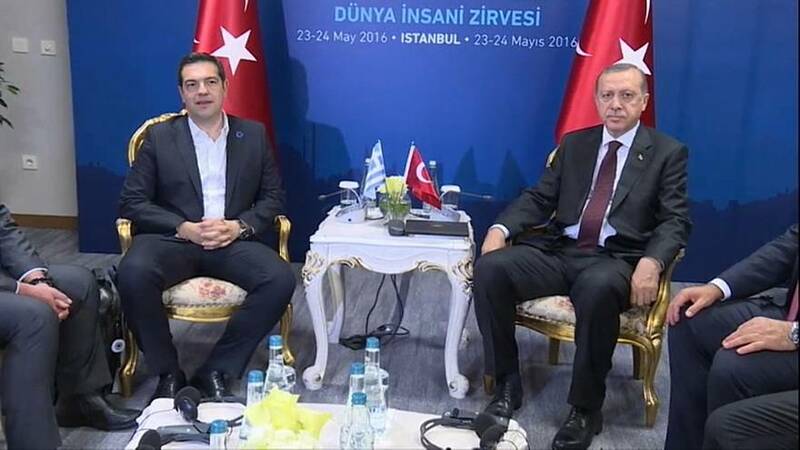 He is also scheduled to visit Thrace in northern Greece, home to a large Muslim community. The NATO allies are set to discuss a deal struck with Turkey to stem the flow of migrants into Europe, as well as EU-Turkish relations and regional security. But there's also a list of tricky bilateral issues to tackle, from divided Cyprus to sovereignty in the Aegean Sea and economic cooperation. "What we anticipate is a substantive upgrade of our relationship with Turkey... We expect very constructive talks," Greek government spokesman Dimitris Tzanakopoulos said. Konstantinos Filis, director of research at the Institute of International Relations of Panteion University, told Euronews the visit also aims to address Turkey’s strained relations with Europe. "Turkey wants to take advantage of the visit of its president to show the country is breaking with the isolation forced upon it by some EU member states, as well as to try to mark a new beginning in Euro-Turkish relations, knowing that Ankara's ties with the US seem to be in a negative spiral,” he said. Turkey is expected to once again demand the extradition of eight soldiers who fled to Greece after last year's failed military uprising. The Turkish government regards them as coup plotters and wants Athens to hand them over. Greek courts have blocked their extradition. Ahead of Erdogan’s visit, Greek police last week arrested nine Turks over suspected ties with DHKP-C, a militant Marxist group which has claimed responsibility for attacks in Turkey since 1990, including suicide bombings. Security in Athens is tight, with almost 3,000 officers deployed and snipers posted along the roads. Our correspondent on the ground, Giannis Giaginis, said the Greek capital felt like a fortress. “Around 200 Turkish policemen are expected in Athens. Some of them came on Tuesday and are checking every place where Erdogan and his convoy will go through. One of them is the Tomb of the Unknown Soldier, where the Turkish president will lay a wreath at the beginning of his visit," he said. Thursday's visit comes months after Cyprus peace talks broke down in July. The talks are led by the two Cypriot communities, but Greece and Turkey need to agree to future security arrangements for the island. Cyprus remains divided between Greek and Turkish Cypriot communities living on either side of a UN-monitored ceasefire line. It's unclear whether peace talks between them will resume.